Coming to a new place often we wonder which manufacturer’s products to choose from the assortment presented. Since I consume myself quite a lot of dairy products, I want to share my experience in the selection of dairy products in the city of Almaty. 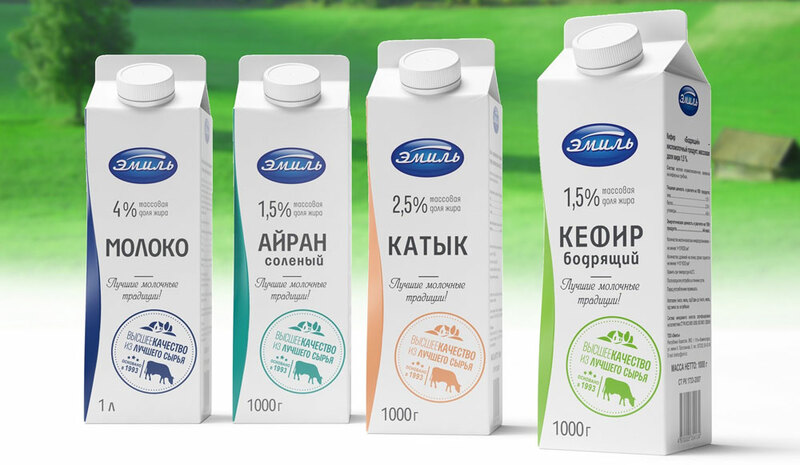 Basically I buy dairy products of three brands: Amiran, Emil (Эмиль) and Raziya (Разия). 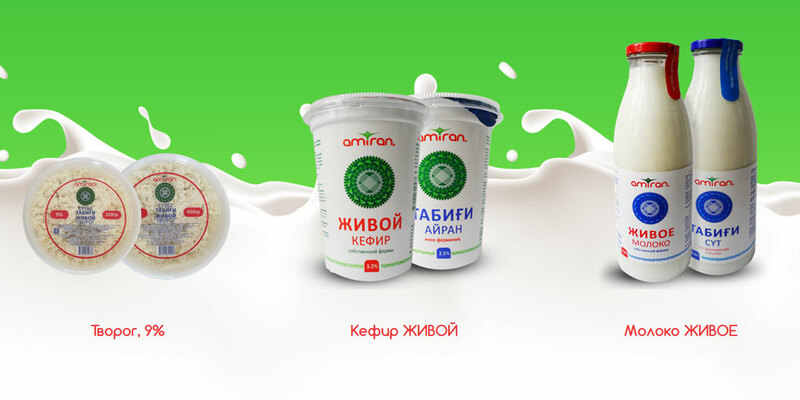 Products "Amiran" is produced at the Kazakh Academy of Nutrition "Amiran", which is the only plant in Kazakhstan for production of children's therapeutic and preventive dairy food made from natural whole milk of the highest quality. According to the official website amiran.kz, milk go into production, a whole natural, not restored, without the addition of preservatives. The plant itself is located in the Republic of Kazakhstan, Talgar district, p. Shymbulak, the factory works since 2010. From line Amiran’s products I prefer: paste curd for children, yogurt for children «alive» (живой), yogurt - a fermented milk product «alive» (живой), curd (творог), sour cream (сметану) and milk «alive» (Живоe). Amiran’s products does not contain flavorings, so in yogurt and sour I usually add a little jam. 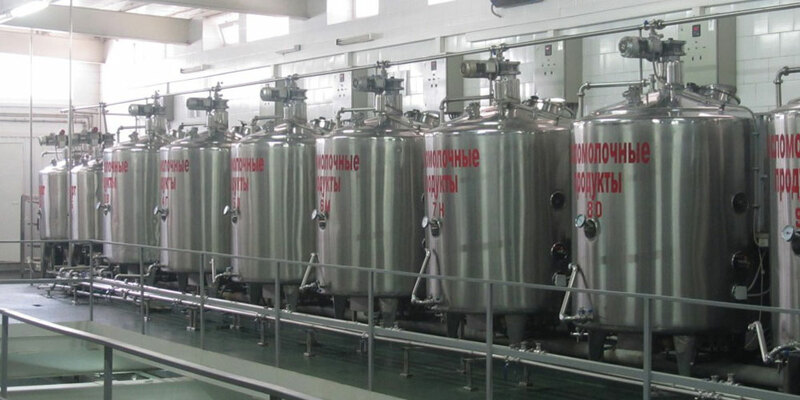 According to the official website www.amil.kz, the company "Emile" is one of the largest milk processing companies and manufacturer of dairy products in the territory of East Kazakhstan. the company was founded in 1993, 1997, established the processing of milk and dairy products production began in 1999. I consum next Emil’s products: Kefir, bioyoghurt, curd mass, sour cream, curd and Biotonus В+С (биотонус). «Razia» brand is relatively new to me. These products produce on the farm «Bayserke-Agro» (Байсерке-Агро). «Razia» products I have seen only in the network of shops «The farm next to the house» (Ферма у дома), currently the city has only one store of the network on Abai Avenue, near the metro station «Moscow», according to the plans of the company's management, in the next three to four years, on the city map should receive an additional 26 such stores. I prefer yogurt with cherry and strawberry filling and milk brand of «Razia».